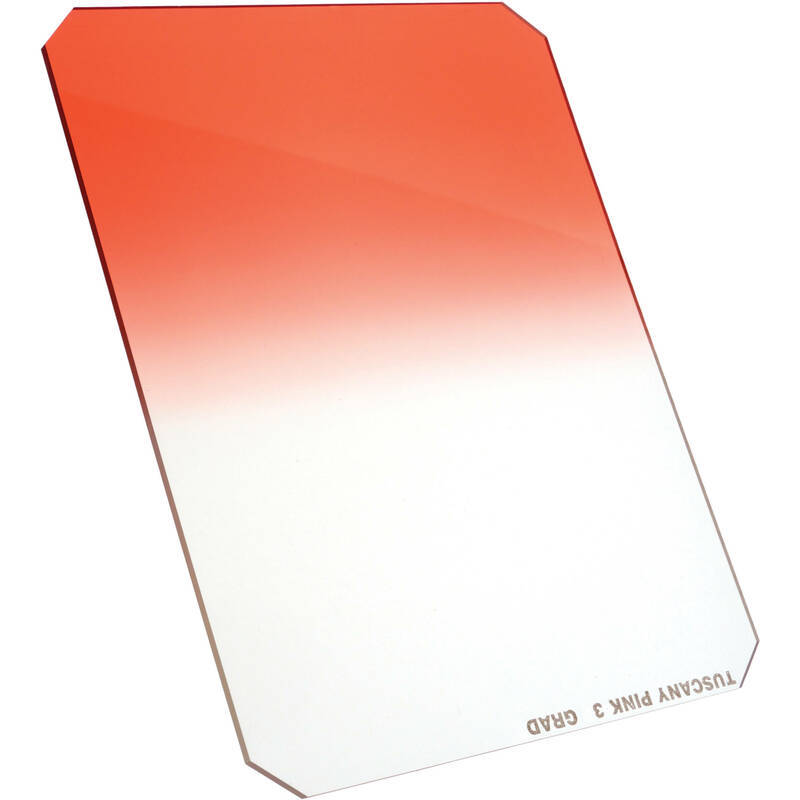 The 4 x 6" Graduated Tuscan Pink 3 Filter from Hitech allows you to add color or enhance the contrast of your image. This filter is made to the highest technical standards that delivers a filter that can be used with confidence. Tolerances are manufactured to such a high degree that similar filters can be exchanged from day to day without any trace of difference in the color. Hitech filters are 1.5 mm thick and do not bend like traditional resin filters. A Color Graduated filter generates the effect in the top part of the image while leaving the bottom clear. Traditionally, it is used to enhance skylines but its use can be varied to create many dramatic and moody effects. The Graduated Tuscan Pink 3 filter produces is a pale rose - reddish pink. It differs from a standard Graduated Pink filter that produces a bubble gum type pink image. The Grade 3 is the strongest version of this filter that adds maximum coolness to your image. This process is revolutionary compared with conventional filter dyeing techniques by eliminating the need to directly coat the glass surface itself; The repeatable performance gained through A.C.T. ensures that at any time you have to swap like filters for like filters mid shoot you can do so with confidence with no discernible differences in color or density.